So you’re headed, say, to the Big Apple. 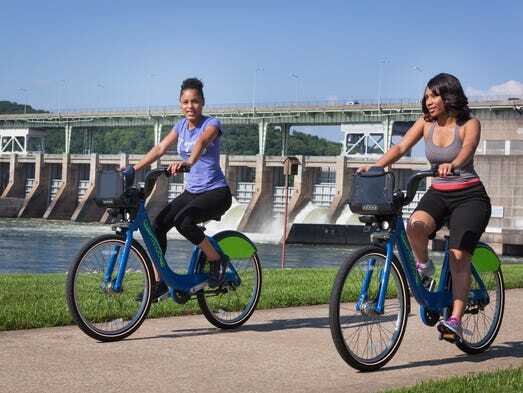 You’ve heard of bike tours and are ready to try one in the city. Or maybe you’ve gotten a few great rides under your belt. Either way, you Google “bike tour new york city” and come up with a lot of great options. But there are a half dozen ads at the top, most of which aren’t even about bikes. Hey, a helicopter ride looks REALLY fun, but that’s not what you’re looking for. And, do you really want to ride a century (100 mile ride) in a couple hours on a Saturday afternoon? Right away, there’s nearly a dozen traditional guided tours to choose from. But wait, there’s more…your Google search probably didn’t show you those Wall Street Journal Bike the Boroughs tours. Not only are these well thought out DIY tours, but you can take these tours right now on your device…every tour has a companion video! Then there are the Splinlister rides…and Bikabout’s amazing “curated” rides that include multiple maps, transit info, where to rent bikes, what to see, and great eating and drinking spots. You won’t find Bikabout, Spinlister, or even smaller commercial tours on the first page of Google’s results. Most people, including us, rarely venture past the first page or two of a Google search. So, explore a few of these rides and choose a favorite or two. Now, it’s Google time. Google your destination. You may find a new ride that’s not in our directories yet. If that happens, please do drop us a line, we try to keep everything current but new bike tours are starting daily, it seems. Look through the results, you might have already found your perfect ride. But use the power of Google to double-check. And perhaps follow some links to reviews. (BTBT has few here). Finally, choose one (or more! )…go there…ride it…have a great time!